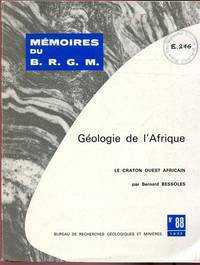 Géologie de l'Afrique. : :e Craton Ouest African. Mémoires. B. R. G. M; BESSOLES, BERNARD. Paris, Bureau de Recherches Géologiques et Minieres, 1977. . First Edition; 4to; pp. 408; numerous b/w diagrams and maps throughout, two folding geological maps and one folding diagram in pocket at rear; original stiff illustrated wrapper, institution stamps throughout, corners bumped, a good copy. Text in French. Outline Of Law In Australia. Sydney, The Law Book Co. Of Australasia Pty Ltd, 1947.. 8vo; pp. vii, 360; index, original green cloth, title in gilt on spine, previous owner's name on front free end paper, a good copy. The History Of The Pichi Richi Railway. BABBAGE, JACK; BARRINGTON, RODNEY; Compilers. 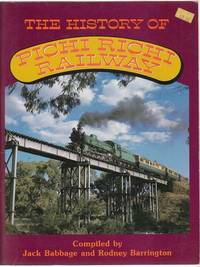 Pichi Richi Railway Preservation Society Inc, 1984.. Revised Edition; 4to; pp. 104; profusely illustrated; stiff stapled illustrated wrapper; a fine copy. For the Sake of Example. 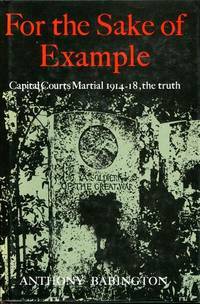 : Capital Courts-Martial 1914 - 1920. (London), Leo Cooper, (1986).. Reprint; 8vo; pp. xii, 238; postscript, appendix, bibliography, index; dustjacket; minor flecking to page edges, otherwise a fine copy. 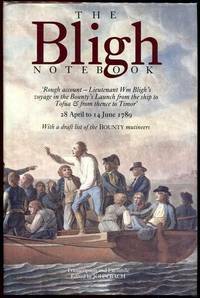 The Bligh Notebook. : `Rough account - Lieutenant Wm Bligh's voyage in the Bounty's Launch from the ship to Tofua & from thence to Timor' 28 April to 14 June 1789 With a draft list of the Bounty Mutineers. Allen & Unwin in association with the National Library of Australia, (1987). . 8vo; pp. xiv, 336; endpapers, portrait frontispiece, 47 illustrations, 1 double page folding illustration, pp. 221-336 facsimile of Bligh's notebook; original cloth, dustjacket; a fine copy. Allen & Unwin in association with the National Library of Australia, 1987. . First Edition; Lge 8vo; pp. ix, 336; endpapers, colour portrait frontispiece, 47 illustrations, 1 double page folding illustration, pp 221-336 facsimile of notebook; original cloth, dustjacket, previous owner's name plate on front endpaper, otherwise a fine copy. Melbourne, Scribe, 2008.. 8vo; pp. 314; notes, index; original stiff illustrated wrapper, browning to page margins, otherwise a very good copy. The Pearlshelling Industry And The 'White Australia' Policy. 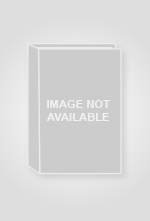 : Contained within the University of Melbourne Historical Studies Vol. 10, No. 38 May 1962. Melbourne, (University of Melbourne), 1962. . First Edition; 8vo; pp. 203-213; original stiff printed wrapper, chipping to spine, minor insect damage to wrapper, chipping to edges, a good copy. 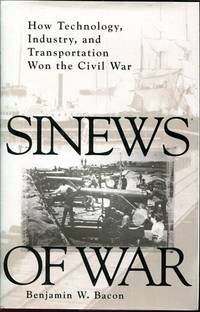 Sinews Of War. : How Technology, Industry, and Transportation Won the Civil War. (Novato, CA. ), Presido, (c 1997).. 8vo; pp. xiv, 246; 12 pages of photograph illustrations; bibliography, index; dustjacket; a fine copy. London, Book club Associates, (1976).. 4to; pp. 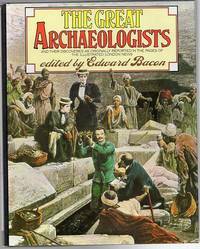 428; map endpapers, 52 colour plates, numerous b/w photograph illustrations within the text, the great archaeologists biographical notes, index; original blue cloth lettered in gilt on spine, dustjacket, minor browning to page edges; otherwise a fine copy. The life of John Rushworth. Earl Jellicoe. : With a foreword by the Rt. Hon. Reginald McKenna. With 40 plates, 6 folding maps and charts. n.p., Cassell and Company, (1936).. First Edition; 240mm x 160mm; pp. (xvi), 565; b/w portrait frontispiece, 40 b/w plates, 6 fold out b/w maps, numerous text tables, appendices, a small rope bookmark, index; hardback, original blue cloth, title lettered in gilt on spine, illustration to front board, spine faded, previous owner has glued related newspaper clippings to endpapers, heavy flecking to page egdes, rear board scuffed, excessive browning to free endpapers, otherwise a very good copy. The Life Of John Rushworth Earl Jellicoe. : With a foreword by the Rt. Hon. Reginald McKenna. With 40 plates, 6 folding maps and charts. n.p., Cassell and Company, (1936).. Second Edition; 8vo; pp. (xvi), 565; b/w portrait frontispiece, 40 b/w plates, 6 fold out b/w maps, numerous text tables, appendices, index; original blue cloth, title lettered in gilt on spine, illustration to front board, edges of boards bumped, otherwise a very good copy. The Illustrated Motorcycle Legends Triumph. UK, PRC, 1995.. 4to; pp. 96; profusely illustrated with colour and b/w illustrations throughout; original slick illustrated boards, dustjacket; a fine copy. American Culture And The Marketplace. : R. R. Donnelley's Four American Books Campaign 1926-1930. 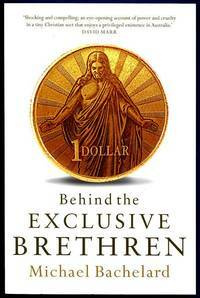 Washington, Library of Congress, 1992. . First Edition; Lge. 8vo; pp. 68; frontispiece, profusely illustrated with b/w photographic and line drawn illustrations, notes; original stiff printed wrapper, minor chipping to spine and front, sticker mark to front, otherwise a very good copy. Locomotive Profile. Victorian Railways Narrow Guage "G" Class. : Garratts in the Otways" A photographic profile - 1954-1962. BADAWY, EMILE D; SARGENT, JOHN. editors. Train Hobby Publications, (1998).. First Edition; Oblong 4to; pp. 48; numerous colour illustrations throughout; stiff illustrated wrapper, small sticker residue to front wrapper, otherwise a fine copy. Train Hobby Publications mini series. 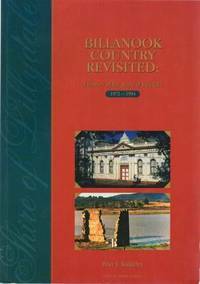 Billanook Country Revisited: A history of the Shire of Lillydale 1972-1994. Shire of Yarra Ranges, 1996.. 4to; pp. viii, 191; numerous b/w illustrations, charts, bibliography, index; original stiff illustrated wrapper; minor creasing to rubbed wrapper, institution stamp on dedication page; otherwise a very good copy. Signed by the author. Western Force. The Beginning. : West Australian Rugby comes of Age. (Osborne Park, St George Books, 2006).. Oblong. 4to; pp. 140; blue endpapers, profusely illustrated throughout, acknowledgements; original slick illustrated boards, lightly chipped dustjacket; a fine copy. 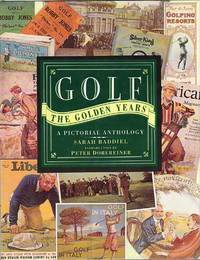 Golf the Golden Years. : A Pictorial Anthology. (London), Bracken Books, (1989).. 4to; pp. 175; photographic frontispiece, profusely illustrated in colour and b/w throughout; original cloth, marks to rubbed dustjacket; otherwise a fine copy. (London), Bracken Books, (1989).. First edition; 4to; pp. unpaginated; numerous colour and b/w. illustrations, original green cloth, title lettered in gilt on spine, dustjacket, fine copy. 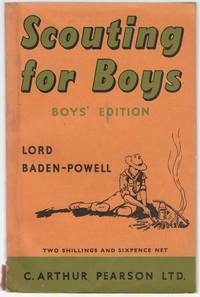 Scouting For Boys. : Boy's Edition. London, C. Arthur Pearson Ltd, (1957). . Reprint; 8vo; pp. viii, 183; portrait frontispiece, numerous b/w illustrations throughout; original stiff illustrated wrapper, chipped spine, inscription to half title page, a good copy.